The Fort Garry Hotel is the sole surviving remnant in Winnipeg from the era of grand railway hotels. 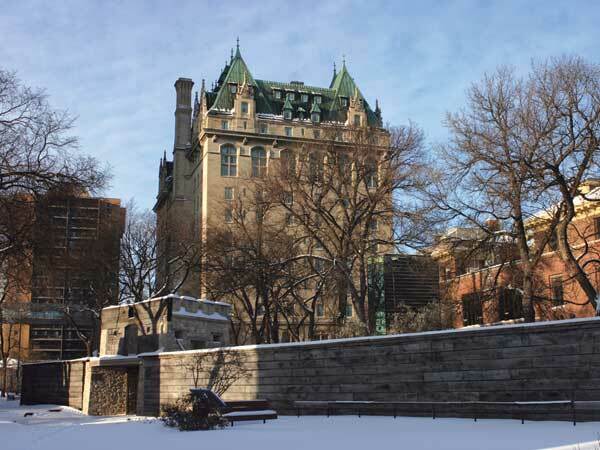 Designed by Montreal architects George A. Ross and David H. MacFarlane, constructed between 1911 and 1913, and opened at a grand ball on 10 December 1913, the hotel is Manitoba’s only example of the Château architectural style. 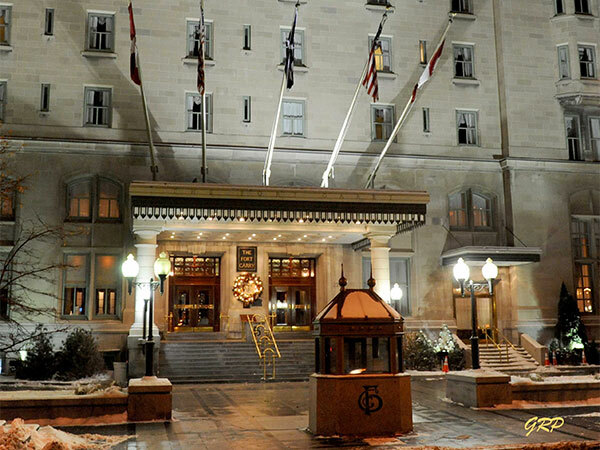 Located a block west of Union Station, the landmark hotel has magnificently well-preserved banquet halls and rooms reminiscent of the opulent pampering of the past. In 1980, a commemorative plaque was unveiled by the Historic Sites and Monuments Board of Canada. It became a provincially-designated historic site (1990) and a municipally-designated historic site. The building was recognized with a Heritage Winnipeg Conservation Award in 2001. Source: Archives of Manitoba, Foote 1536, N2567. “Opening ball at the Fort Garry function of great brilliancy,” Manitoba Free Press, 11 December 1913, page 9. Hotel Fort Garry, Manitoba Historic Resources Branch. We thank Jason Vanderhill (Vancouver Postcard Club), Toronto Postcard Club, and George Penner for providing images of the Fort Garry Hotel.